Those who’ve visited Glyndebourne, especially for a pre-performance talk or study day, are probably familiar with the Ebert Room, our oldest dedicated rehearsal room. Built in 1959, it provided a space where the operas could be rehearsed with scenery. Following the rebuilding of the Opera House in 1994, the room was renamed in memory of Carl Ebert, Glyndebourne’s first Artistic Director. However, few are aware of just how big a part the Ebert Room plays here and how it is used since its 2010 transformation into a versatile studio theatre and workshop space. 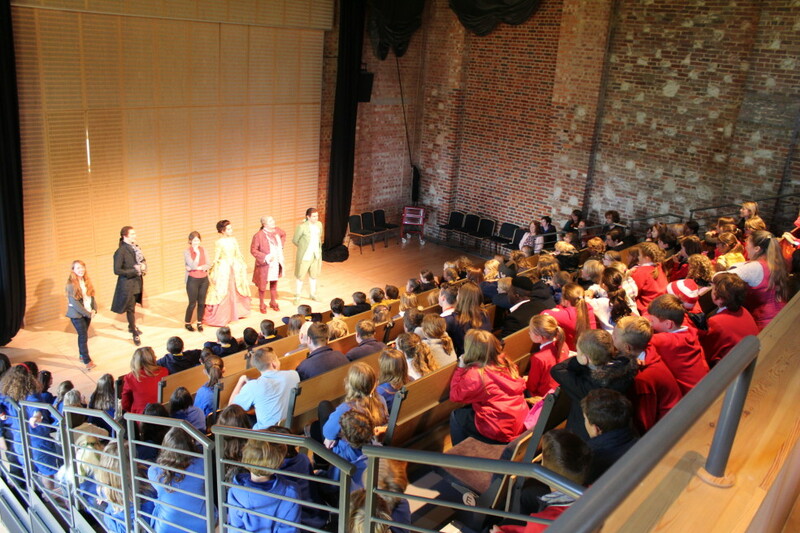 Our Performances for Schools programme not only gives pupils the chance to watch a full-length, fully staged Glyndebourne opera, but it also gives them the opportunity to ask the singers questions too. 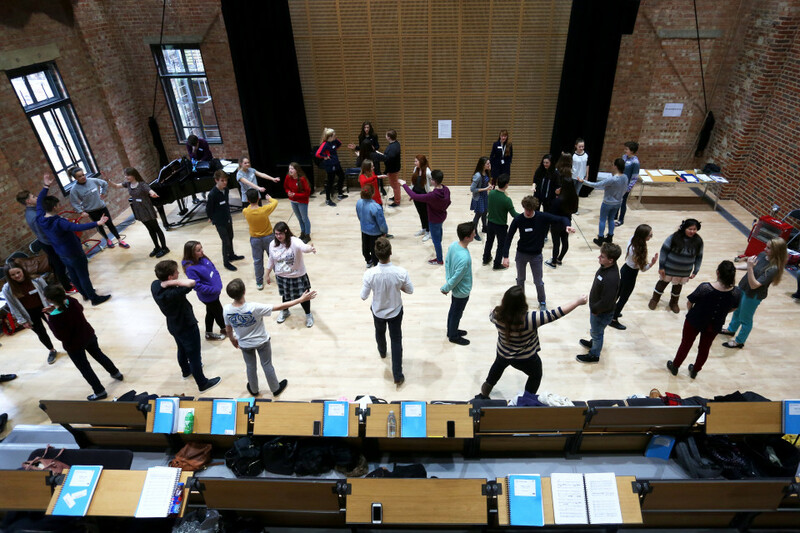 Here’s a photo of a meet-the-cast session in the Ebert Room from Don Pasquale, Tour 2015. 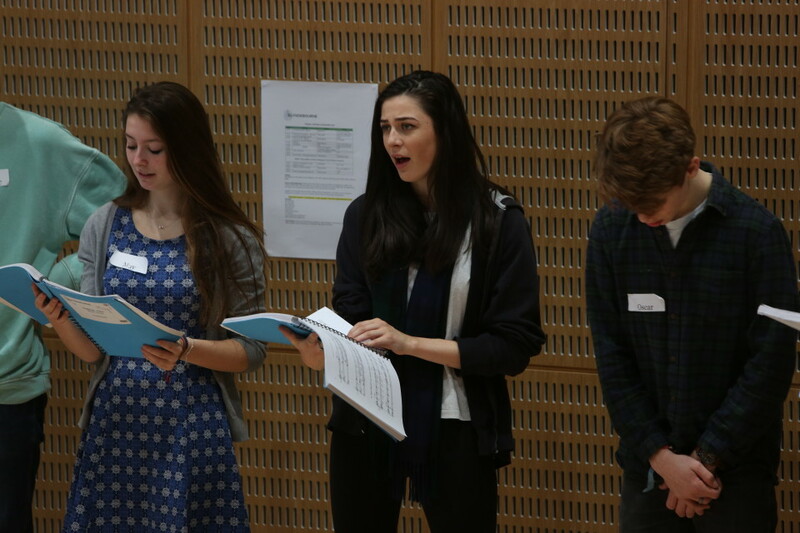 The Ebert Room provides a space for our GYO workshops, in which we introduce young people to the world of opera through performing, creating and learning about opera from every angle. Did you know the Ebert Room can become a stage for studio performances? 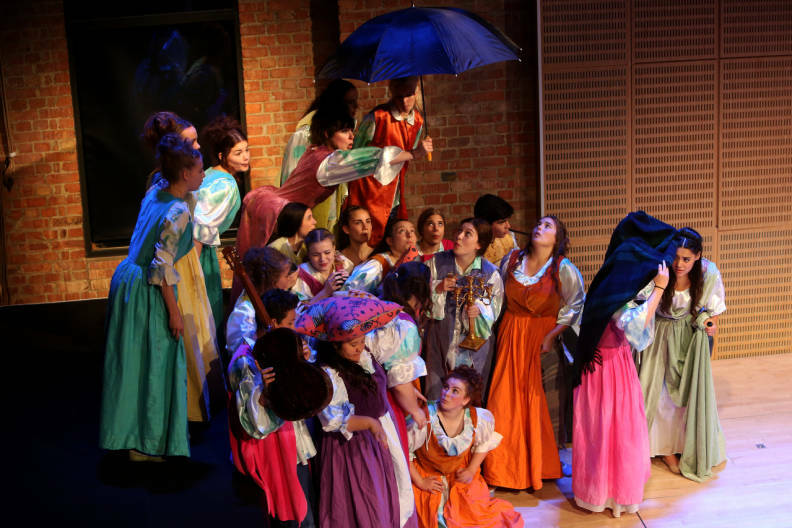 2015 saw GYO members in a semi-staged production of Dido and Aeneas, Purcell’s timeless opera based on a story from Virgil’s Aeneid. GYO members performed the piece alongside two professional singers. What better way to learn? Thanks to generous investment we select a number of young singers with exceptional talent each year. 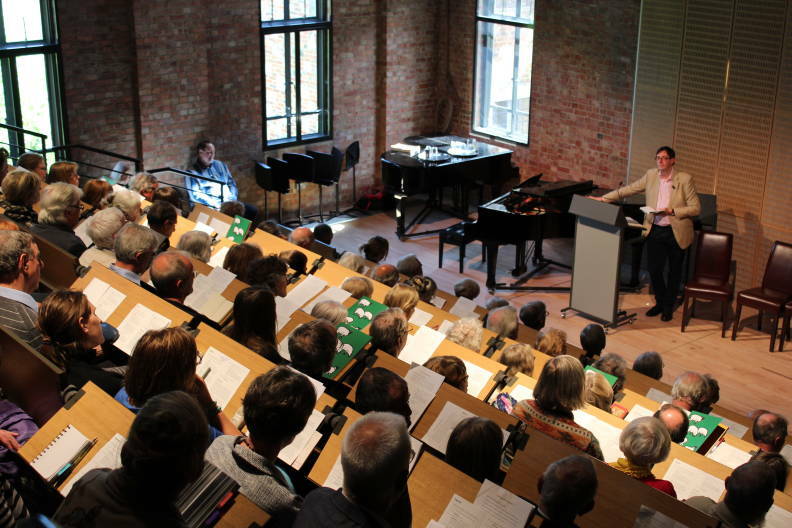 An intensive period of training – including vocal, dramatic and language coachings, masterclasses and recitals – takes place in the Ebert Room. Natalia Tanasii performs at a Jerwood Young Artist Recital. 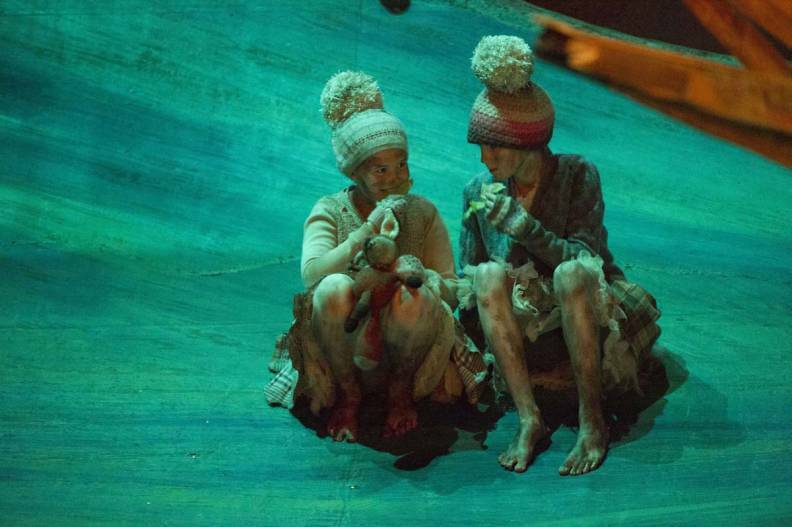 Three young Glyndebourne Youth Opera singers started their journey to the mainstage at Festival 2016 as foxcubs in The Cunning Little Vixen in the Ebert Room. It’s where they auditioned and rehearsed for the roles. Our Ebert Room is perhaps best known to our audience as the venue for expert talks, panel discussions and musical previews. 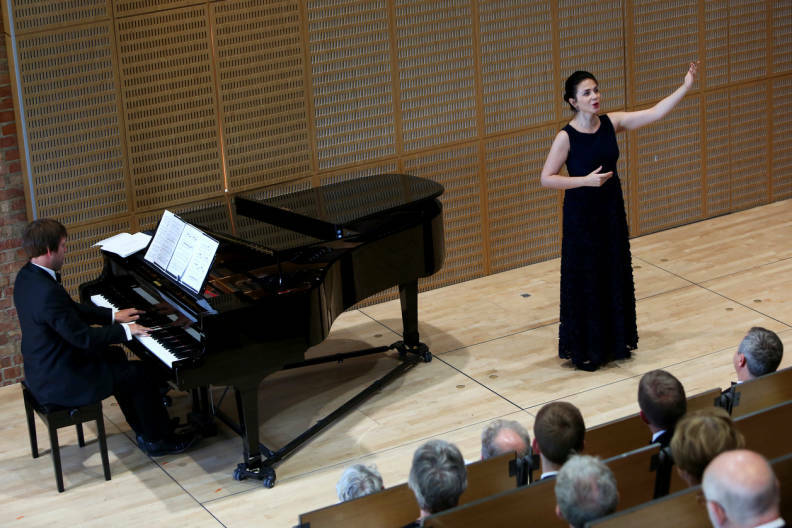 These events are a great way to explore the Festival’s operas in more depth. During rehearsals singers are put through their paces, making sure the sound is just right. The Ebert Room enables us to sustain key New Generation Programmes; audience & artistic development and education & community outreach.